We are at the end of another month, and this month has felt the longest by far. I returned to work on the 4th May and have now been back in my job for just over four weeks. I’m not going to lie and say it has been easy, but it has been easier than I imagined it would be and I have found it quite gratifying to have a bit of the old me back. In my Plans for 2017 post I wrote about hoping I was returning to a branch local to me. I am not super local, but I am close enough for it to work so I am happy. My new branch has really friendly and supportive staff who have made my transition back into the workplace a hundred times easier and I couldn’t ask for more. This month saw Dexter turn one. I don’t know if it’s because I am away from him so much more these days but I have seen such a huge change in him over the past month, he is definitely more toddler than baby now, although he still isn’t walking. We held a party in our small flat to celebrate this milestone and were joined by family who had travelled a fair distance to come and see us, so thank you. 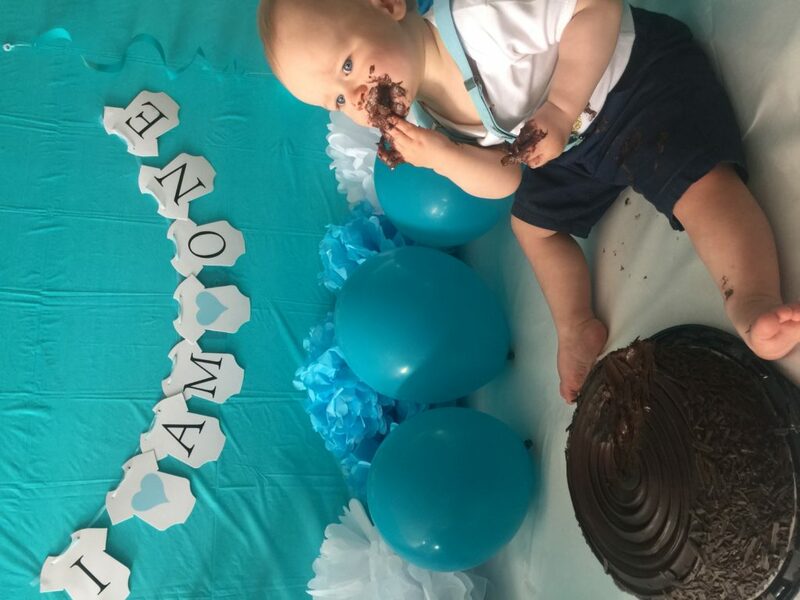 We had lots of balloons, decorations and a cake smash which was so much fun. Neil’s half term started this week and it is the first time he is off without me being off too. This is a practise run ready for the six weeks in the summer when he will totally in charge of Dex and the running of the house. It will be interesting to see how he gets on with the task! We’ve had a couple family days out this month. 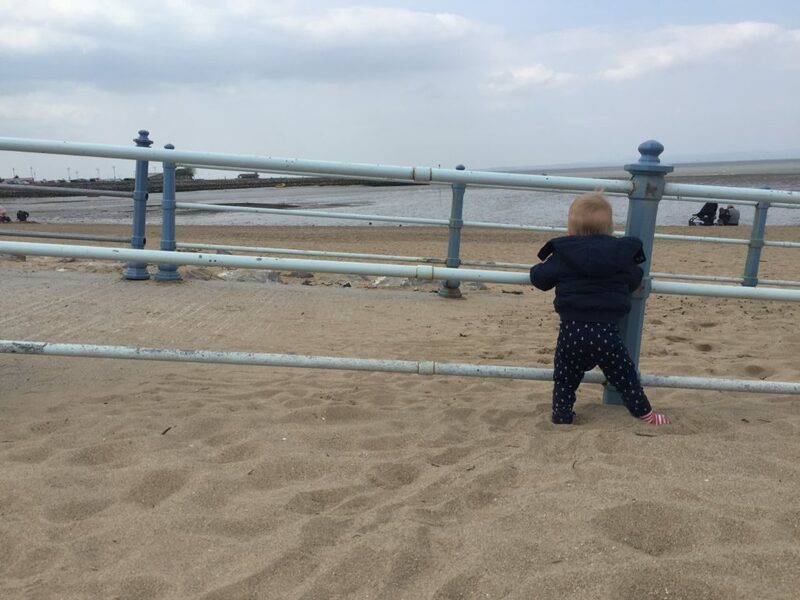 We started May with a trip to Morecambe where we had an amble around the shops before a play on the beach. The weather wasn’t amazing but it was nice to get out and spend some time as a family. We finished the month off with a visit to Martin Mere Wetlands Centre. 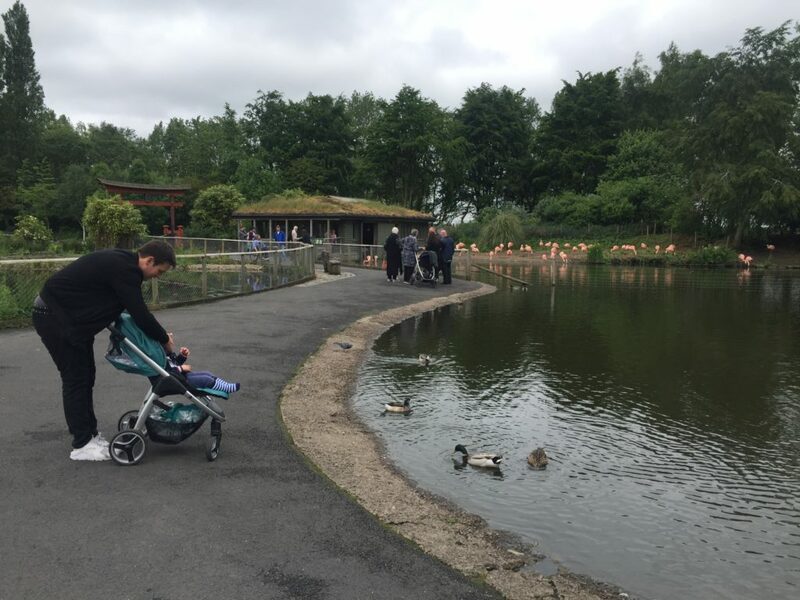 Once again, the weather let us down after experiencing a heatwave in the days preceding the visit, but it was so nice to see Dexter interacting with the ducks and geese. We have been house hunting a fair bit this month, although the dream of purchasing a house seems to be on hold for the time being. I won’t go into too much detail right now, but I am hoping our stumbling block can be rectified. If not, it would appear we would need to wait another year. It is quite a painful subject and we are trying to stay positive. That is it for this month. If you want to read about previous months, you can do so here.